Meet with your DUI lawyer. You will both decide to enter a plea or go trial based on evidence. You can plead a DUI at anytime during the trial. If you’ve been arrested and charged with a DUI, you might be considering entering a plea deal. 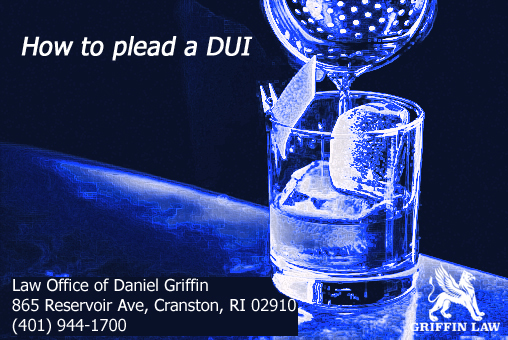 Before making this decision, you need to contact an RI DUI lawyer to really discuss all of your options. This will also allow you to look over your case with a professional and expert in DUI law. You will most likely be convicted if you didn’t follow this guide on how to beat a DUI charge that I wrote. There are things you need to know and do before you even reach this decision. The most important thing to ask yourself is: how can I prevent needing to plead at all? That question will save you the worrying of having to plead guilty and wonder what the possible punishments will be. But, assuming you are considering pleading; here are some things to know. You will have a higher chance of being convicted if you had a very high blood alcohol content (BAC) level. You will have a higher chance of being convicted if the evidence shows you were intoxicated while driving. The important thing to remember is that these can be avoided. When you meet with your DUI lawyer, you will assess the evidence of the case and discuss how you want to move forward. You can still go to trial and then plead guilty- you don’t have to plead guilty before going to trial. You can formally decide at the beginning of your case if you want to plead or go to trial. This happens at the court date following your arraignment and talking to your DUI lawyer. At this point, you will enter a plea bargain and possibly wrap up the case right then and there. Your DUI attorney will hand you a form which waives you of all of your constitutional rights (scary thought). This is so you cannot come back at a later time and challenge the conviction. When you plead guilty of DUI, it means you have officially been convicted of the crime. It equals if a jury or judge found you guilty. It is extremely hard to withdraw your guilty plea. This is a very technical process that needs to be handled by a professional. You can end up making serious mistakes by deciding to represent yourself. Can RI DUI charges be dismissed? Can RI DUI charges be reduced? Will a DUI in Rhode Island show on my background check?